From there to Brian, the 13-year old prodigy in a class of 17 year olds, whose father disappeared when he was just 4 months old, leaving his 14-year old mother to bring him up alone. She in turn abandoned her son after his first birthday, leaving him to Teacher Sarah, a distant relative of Brian’s father so Brian grew up at KAASO as his home. 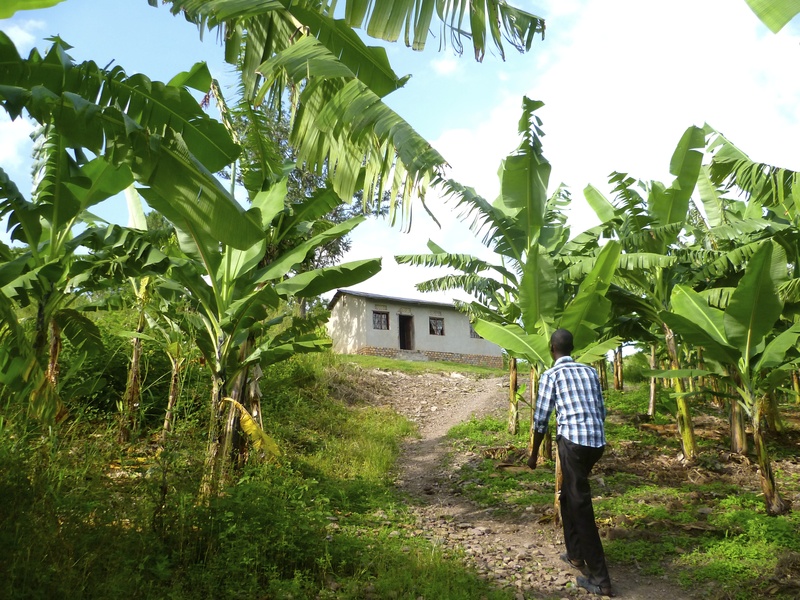 There was Anthony, one of seven children whose father volunteers in the local community, earning a pittance to try and educate those in the surrounding villages about HIV, malaria, the importance of taking their medication and sleeping under mosquito nets. His father told me that he had never had such excitement as the day he found out Anthony was to be sponsored. A local NGO also recognised his dedication in helping the community and assisted him in building a concrete house for his family. It was heartening to hear that sometimes, on rare occasions, good things do come to good people. Another epic drive ensued before we pulled into a dusty roadside trading centre to sit and wait for Teddy to appear – she had travelled an hour to come and pick us up and guide us to her lakeside village. 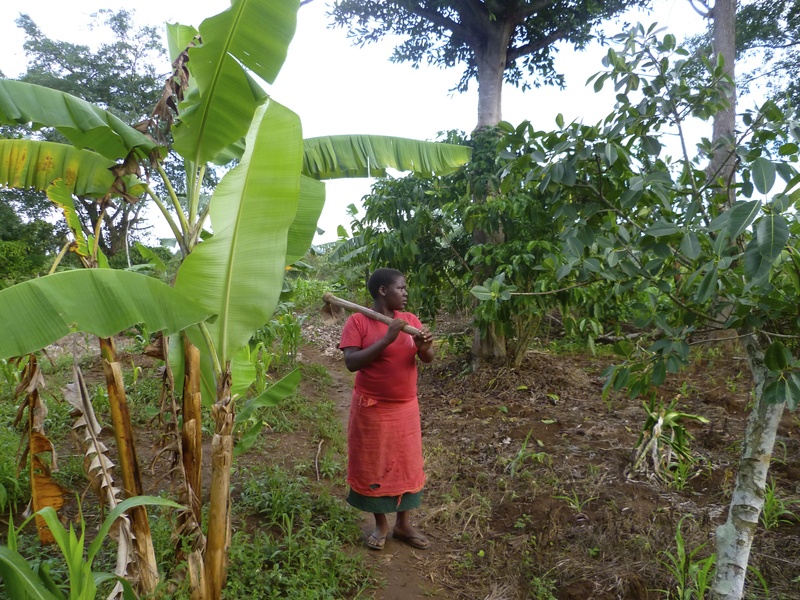 At her home we found her stepmother and siblings – her real mother had died in 2006 ‘of headache.’ Teddy carefully served us tea and hard boiled eggs while her stepmother slaughtered a chicken and the local women helped to prepare lunch for us. Just as lunch was being served, her father appeared – he worked as a security guard at a town over two hours away and had heard of my visit. He told his boss he would never get this chance again, begged for this to be his one day off and jumped on the back of a motorcycle to come and meet me. Rose smiled as she translated his words as we ate lunch together: ‘Madam Emma coming to my very house in this small village… Eh, I had never even dreamed about it but now that day has come!’ He earns USD$35 per month and has 7 children to support and yet he could do nothing but smile, telling Rose he was so happy he couldn’t even explain how happy he was. On the road from KAASO to Kyotera, we branched off down a small track to find the home of Juliet. 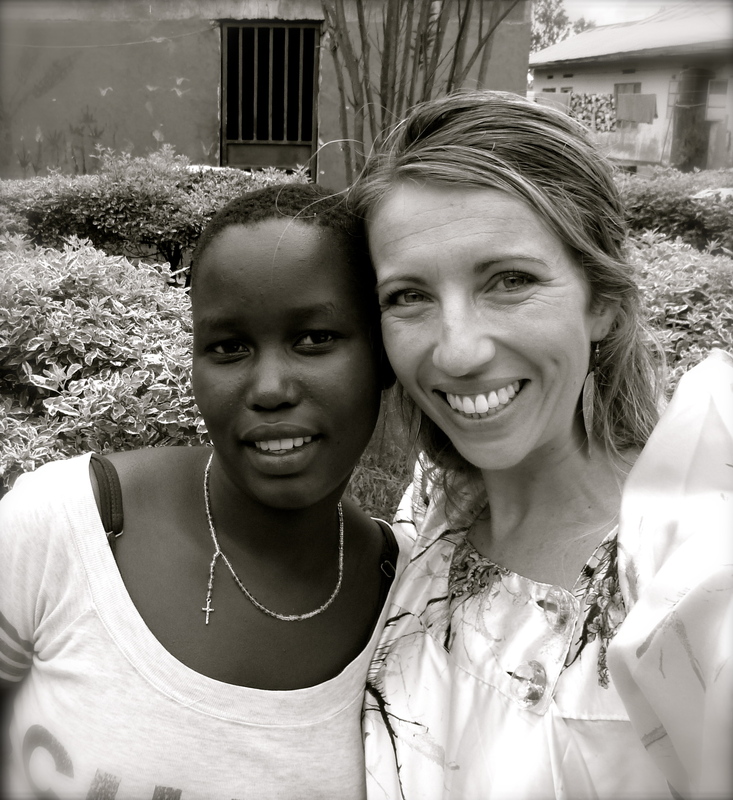 Her father was illiterate and never went to school but he wanted Juliet to have that chance. He was unable to pay school fees but he is a mechanic so works at KAASO on the water pump and maize mill in exchange for school fees. 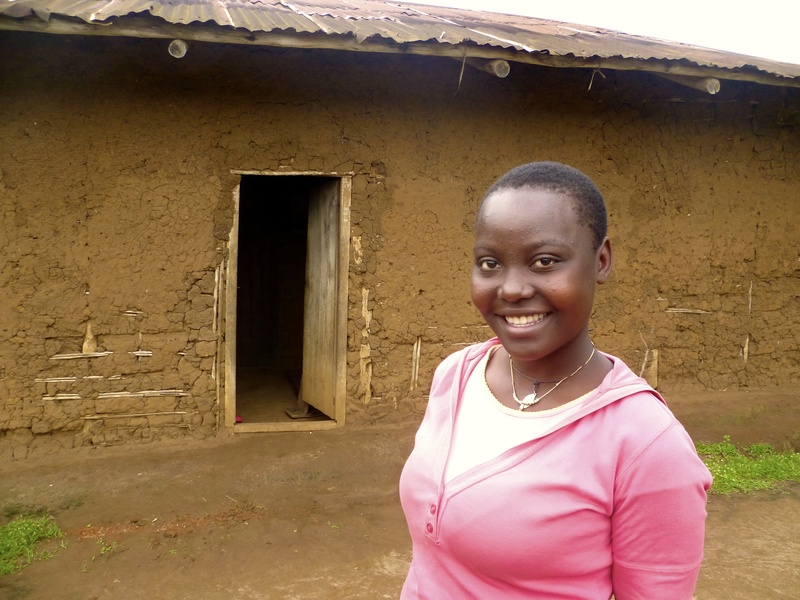 Now every holiday, Juliet comes back to KAASO where she spends each day washing, cleaning, helping prepare meals, all through a sense of gratitude to Rose and Dominic for seeing her through school. And then there’s Stellah. Stellah was one of the stars of my school show, ‘The Wizard of Mwanza’ back in 2009 and I made sure I came back to KAASO within two years to see her before she left primary school in 2011. 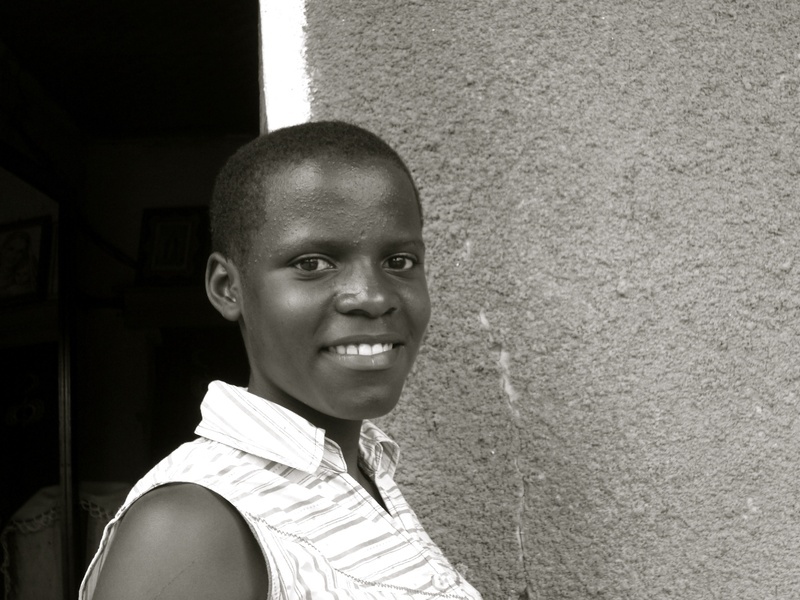 Stellah’s mother is a maid in Kampala earning 20,000 UGX per month (USD$8). Her father is a drunken womaniser who has more children than he can keep track of – not that he’s interested anyway. 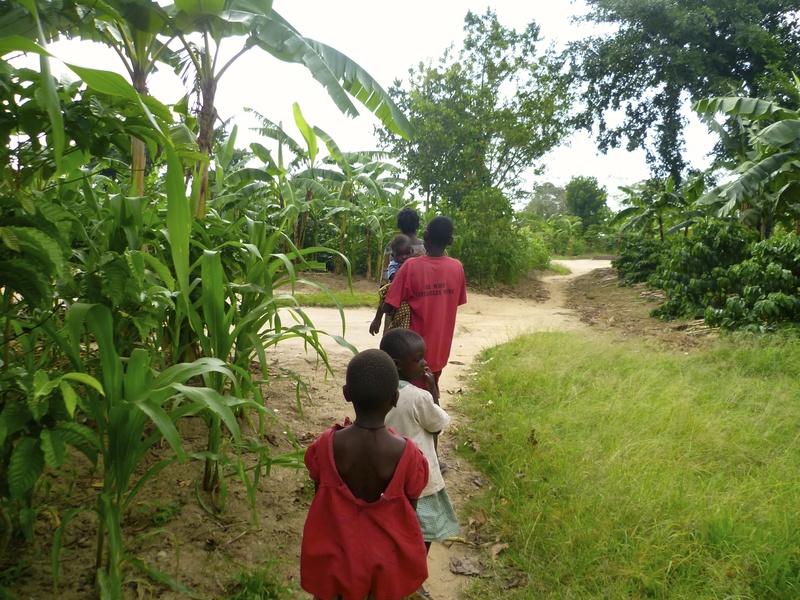 Stellah and her siblings live in fear of their father and it’s not hard to understand why. Three years ago, he decided he wanted to get rid of the burden of Stellah and her brother and sister. So he gathered the children and all their possessions into the family hut and set fire to it. Fortunately they managed to escape but they did so with only the clothes they were wearing and scars that are not visible. We are keeping Stellah here at school and hers is the one village I will not visit as I don’t want her father to see that she is being supported by a muzungu, a foreigner, as I fear this will make her situation worse. Her father does not know she is at secondary school and doesn’t know where she is right now and we want to keep it that way. 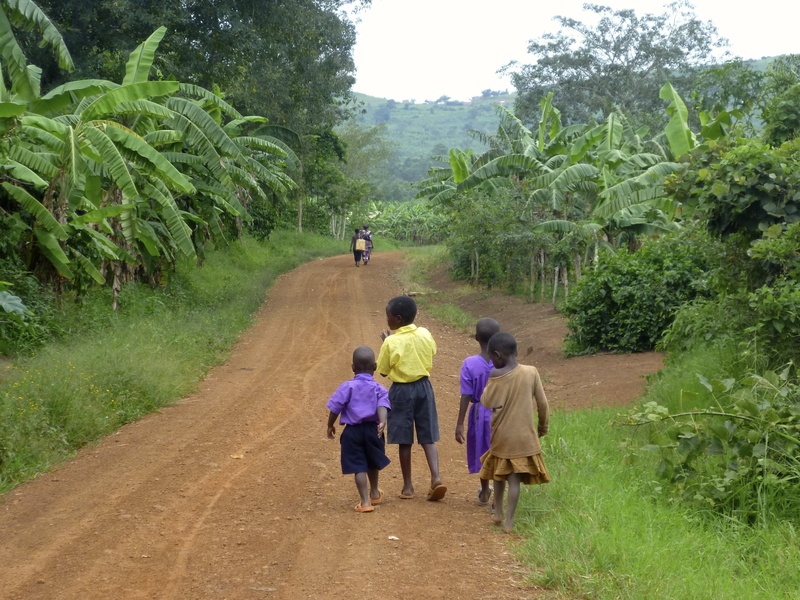 Rose and I are organising to get her up to her grandmother’s house 50km outside Kampala for the holidays until it’s time for her to return to school. It certainly puts life into perspective and every minute of every day I feel grateful to have been born where I was. A lucky accident. Life here is full of such highs and lows, such contrasts of beauty and cruelty, simple joys and thundering injustices. In a world where to call someone fat is a great complement (it means you are healthy) and to say they are thin is the biggest insult (implying they have AIDS), it can be hard to keep up. You feel like you have lived a lifetime in a week and it takes so much energy to get through a single day, your mind exhausted from trying to understand, to take it all in, to solve the problems of the world and, in the absence of any solutions, working out how best to deal with them. Sometimes it overwhelms. Last weekend I was driving up to Masaka in Dominic’s car when I was startled by a commotion in the bushes on the side of the road. Suddenly, a flash of white appeared and I gaped in wonder as a crested crane came flapping magnificently across my path. Crested cranes are the national birds of Uganda and are spectacularly beautiful with their golden crowns arching heavenwards. I was mesmorised by this rare sighting when all of a sudden I looked up to see a truck had crossed onto my side of the road and was coming straight towards me. I swerved off the road and in doing so ran over a dog, already dead but nonetheless disturbing. I feel like that moment summed up my life here – one minute you are awestruck by beauty, the next you are trying to shield yourself as the raw truth of life smacks you in the face. The longer I stay here, the deeper I get, the more I care and the more my heart aches, so I am learning. Learning that sometimes you have to do as everyone here does and just let life be. Laugh, sing a song, let things wash over you, keep moving forward, do as much as you can, and then leave the rest to the powers that be.